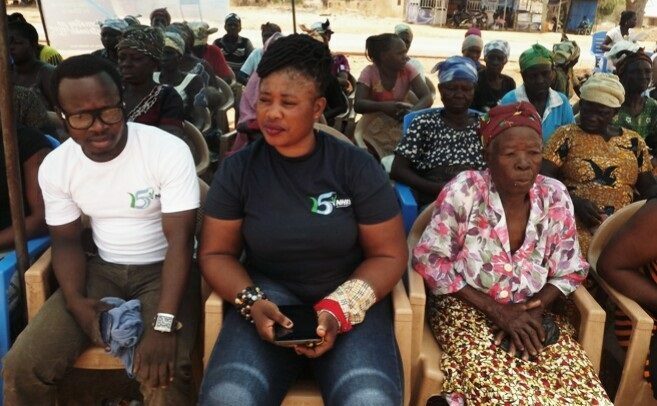 In the wake of complaints about the inefficiency of the National Health Insurance Scheme, (NHIS) the scheme Office in the Bolgatanga Municipal has begun sensitizing its clients on the new Mobile Renewal system. The officers urged Ghanaians who have not registered with the National Health Insurance scheme to join and contribute to make it viable. In 2018 the National Health Insurance Authority introduced a new system where clients can renew their membership and pay their annual premium through the use of a mobile phone. The approach is believed to be a way to cut down the number of hours the clients spent at the various scheme offices just to renew their membership, address overcrowding and also to make payment of the annual premium easy and encouraging. Speaking at the Zuarungu sensitization programme in the Bolgatanga East District, the Municipal Public Relations Officer of NHIS, Madam Linda Boakye said despite putting in place pragmatic measures, there are still challenges the scheme is faced with, hence the need to create awareness of the new registration policy. “It is not just a regional challenge, but nationwide which has to do with the Telecommunication network. The NHIS will not give up in its efforts at ensuring that there is a smooth processing. We want more people to get used to the Mobile Renewal of membership and when that is done other services will be added. Registering with the NHIS should be part of our activities as Ghanaians to ensure that the scheme gets enough resources to settle all bills. To use the mobile renewal approach, one has to dial *929# and follow the prompts.” She said. Madam Boakye however stressed that by opting for the mobile renewal it helps in saving time where an average of 12 hours every year in terms of time taken to renew NHIS membership and pay premium. Before the separation of Zuarungu from the Bolgatanga Municipality, people from that area had to travel a long distance to register with the NHIS, pay premium and renew their membership, which was discouraging and caused people not to renew their membership after their Cards have expired. Community members are happy with the new approach but called for an scheme office to be opened in the new Bolgatanga East District as soon as possible.